The Japanese love telling ghost stories. One very popular tale that has been told since the 12th century is “The Story of Okiku.” This story involves a traditional Japanese ghost called a “yuurei.” Like many ghost stories that have been told from one generation to the next there are several versions of Okiku’s story. This story is connected to Japanese religious beliefs. The Shinto belief is that all people have a soul, which is called a “reikon.” When a person dies their reikon leaves their body and joins the souls of their ancestors. Although, the Japanese believe there is an exception to this, if a person dies suddenly because they were murdered, killed in battle, or they commit suicide-- then often their bodies are not given a proper burial. These misplaced souls sometimes become revengeful ghosts called “yuureis.” Yuurei in Japanese means—soul of the dead. Many yuureis are females who in life suffered greatly. Causes for this suffering might be love, jealousy, sorrow or regret. These ghosts normally appear wearing the traditional Japanese white kimono known as a Katabira. For centuries these kimonos were used to bury women in. Two more defining characteristics of the yuurei ghost is they have no legs and they are seen between the hours of 2 a.m. and 3 a.m.
One of the most famous yuurei ghosts appears in the folk story, Bancho Sarayashiki—The Story of Okiku. As stated above this story has several versions. In essence, the story is about a young maid named Okiku who works for a family whose master Tessan Aoyama is a samurai. One day while cleaning the families’ ten precious ceramic plates, she accidentally breaks one of them. The outraged Aoyama kills her and throws her body into a well. Every night after this Okiku’s ghost rises from the well, slowly she is heard counting out nine plates and then she breaks into heartbreaking sobs over and over again. This torments Aoyama who goes insane in the end. So Okiku gets her revenge. Most versions of this story have Okiku counting from one to nine and then she breaks out in heart-rending wails and sobs. They also state she was thrown in a well after being killed. She is always portrayed as the innocent victim of an unreasonable master. One variation of the story mentions Aoyama actually wants to seduce Okiku, when she refuses his advances he hides one of the ten Dutch plates and states he will accuse her of stealing it if she does not become his mistress. In desperation she throws herself into the well. Yet another version states the samurai’s wife actually breaks the plate throws it in the well to hide her deed and tells her husband Okiku stole it, then he kills her. One alternate ending to this story has Aoyama paying a family friend to hide in the well and wait for Okiku to appear. As she counts one to nine he finishes for her by shouting “ten.” This finally stops the sobbing and allows Okiku to rest. The Japanese state that the well that Okiku was thrown into after she was killed still exists. 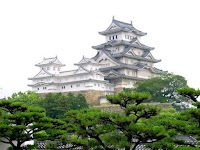 The most common location cited is at Hineji Castle also known as the White Egret Castle. This castle located west of Kobe has kept its original form for nearly 400 years. 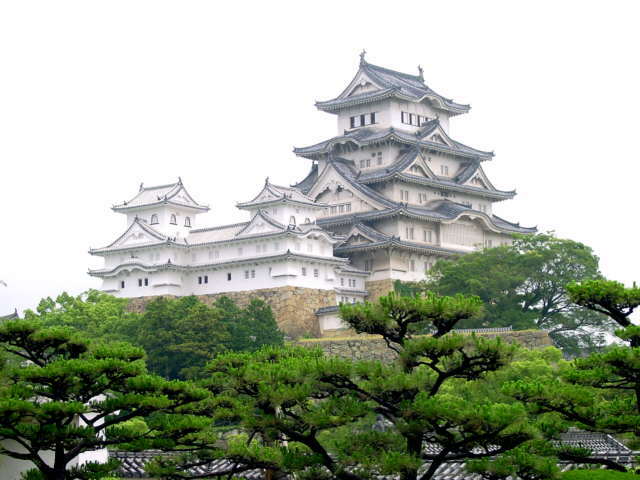 It is considered Japan’s finest castle. In Japan’s recent devastating earthquake and tsumami it was not impacted. It is closed though until 2015 for renovations. Another area cited for being the possible location of Okiku’s well is at the Canadian embassy in Tokyo that was established on land bought from the Aoyama family. 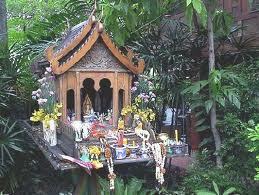 Thailand is Buddhist but they also have an animistic belief in ghosts. This belief is a hold over from before Buddhist times. So their Buddhism is mixed with a spirit based religion. In 1610 the Spanish founded Santa Fe, today the capital of New Mexico. Santa Fe was originally called the “Royal City of the Holy Faith of St. Francis of Assisi,” in Spanish-- La Villa Real de la Santa Fe de San Francisco de Assisi. Santa Fe remained under the control of the New Republic of Mexico for 25 years. In 1848 with the U.S. victory in the Mexican War the southwest was ceded to the United States. 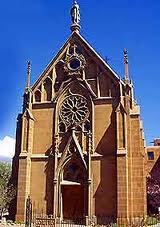 At the end of the Old Santa Fe Trail in the capital stands the Loretto Chapel. In 1850 Bishop Jean Baptiste Lamy was appointed by the Catholic Church to New Mexico territory. Seeking to spread the faith and bring an educational system to the territory he sent out a plea for priests, brothers, and nuns to come preach and teach. In 1852 the Sisters of Loretto founded in 1812 in Kentucky responded to Lamy’s plea. They sent seven sisters but only five arrived in 1852, their journey to Santa Fe was very difficult. Their Mother Superior died in a cholera epidemic as they traveled by wagon and another sister became too ill to continue and returned to Kentucky. These sisters opened the “Academy of Our Lady of Light (Loretto) in 1853. In 1855 several more sisters joined them. Their school grew to over 300 students with a campus that covered a square block with ten buildings. Despite the challenges of the new territory, which included: smallpox, tuberculosis, leaky mud roofs, and a brush with rowdy Confederate Texas soldiers during the Civil War the Loretta Sister’s school thrived. Their student’s tuitions were paid through donations, and from the sister’s own inheritances from their families. Bishop Lamy brought architect Antoine Mouly and his son from Paris, France to Santa Fe to build what is now St. Francis Cathedral. It took them ten years to complete the construction. During this time Lamy encouraged the Loretta Sisters to have the Mouly’s design and build their dream chapel as well. The sisters again pooled their own inheritances to raise the $30,000 required to build the chapel. Work began on the Loretto in 1873. The Mouly’s fashioned the chapel after the Sainte-Chapelle in Paris. 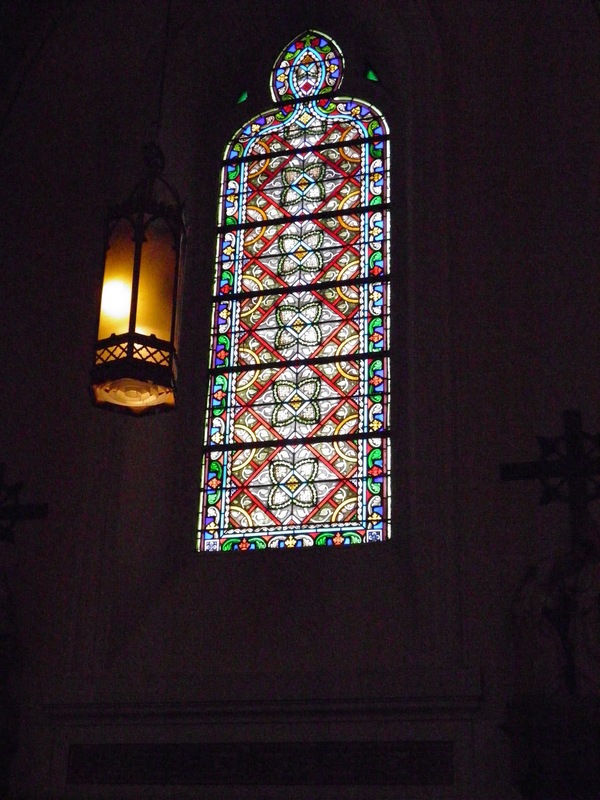 The stain glass used was purchased from the DuBois Studio in Paris. It traveled to Santa Fe by sailing ship, paddleboat, and wagon. Construction on the chapel was completed in 1878. 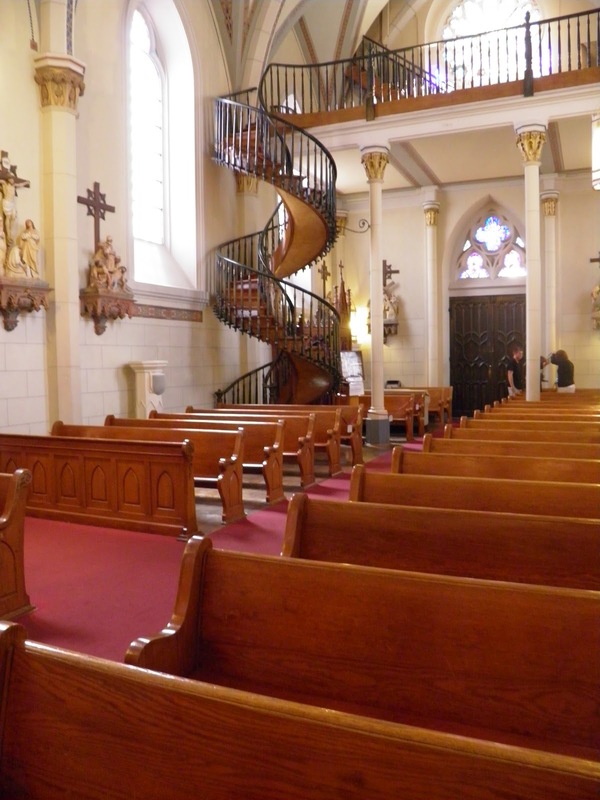 During the time the Loretto Chapel was completed it was standard practice to use a ladder to get to the choir loft in churches. The Loretto Sisters found their long habits prevented them from climbing this ladder. Carpenters were called in to address the problem, these craftsmen all stated that a staircase would take up too much floor space in the small chapel. Legend states the sister’s in an attempt to find a solution to the seating problem, made a novena to St. Joseph, the patron saint of carpenters. On the ninth and final day of prayer, a man appeared at the chapel with a donkey and a toolbox looking for work. He used a square, saw, hammer, and water and worked in privacy. Six months later, the elegant circular staircase was completed, and the carpenter who built it by himself disappeared without thanks or collecting his pay. The sisters searched for this carpenter, they even put an ad in the local newspaper. When they found no trace of him the sisters concluded that he was St. Joseph himself, having come to answer their prayers. Many still believe in this legend. In recent years several people have tried to debunk it but the more recent Sisters of Loretto have not accepted any of the new explanations for the mysterious carpenter. When I was little the staircase was still open for visitors to walk up and down—it was originally built without the handrails that adorn it today and it is extremely steep. The staircase design was not only innovative for the time but this structure also enhances the aesthetic appeal of the entire chapel. 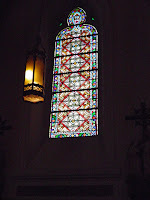 The Gothic Loretto Chapel as a whole is a very beautiful place. Some of the design elements of the Loretto Chapel’s staircase still perplex architects, engineers, and master craftsmen today. The staircase makes over two complete 360-degree turns, stands 20 feet tall and has no center support. It rests solely on its base and against the choir loft. The risers of the 33 steps are all the same height. It was made from a wood that was not found anywhere in the region. Where this lumber came from is a part of the mystery for no one saw any deliveries. Glue and nails were not used in its construction just wooden square pegs. 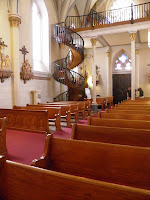 Hundreds of thousands of people have visited the Loretto Chapel over the years to view The Miraculous Staircase. The Loretto Academy was closed in 1968—the chapel was put up for sale. In 1971, the chapel was informally deconsecrated as a Catholic chapel. Today it is run as a private museum. The Shirley Plantation located in Virginia's coastal region is the states oldest plantation. It was founded in 1613 just six years after the first permanent English settlement at Jamestown. During its long history Shirley has been the home for eleven generations of the same family, today this family continues to own, operate, and work this grand plantation. The Shirley Plantation is a National Historic Landmark. Through its history, this southern plantation managed to survive Indian uprisings, Bacon’s Rebellion, the American Revolutionary War, the Civil War, and the Great Depression. One story about the Plantation’s main house called the “Grand House” took place during the civil war, around 2000 Union soldiers camped around the plantation. The Shirley women turned the Grand House into a hospital where they tended to both Union and Confederate soldiers, it is believed this is why the house was not burned down. The descendants of Edward Hill I, the original owner, still reside in a private residence on the plantation. The Shirley Plantation is the oldest family run business in North America. Edward Hill I established the farm in 1638 and construction on the Grand House started about 1723 when Elizabeth Hill, the great-granddaughter of the first Hill married. The house was completed in 1738. The Shirley Plantation is known for its resident ghost, Martha Hill Pratt known to the family as “Aunt Pratt.” She was the daughter of Edward Hill III, 17th-century owner of the Shirley. Her manifestations occur through a portrait of her that hangs in the Grand House. 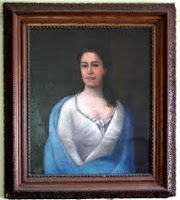 When Martha Pratt finished her schooling, she left an unsigned portrait of herself at the Grand House. She traveled to England where she married an Englishman by the name of Huge Griffin. The surname Pratt is a family pet name. Originally this portrait was hung in a bedroom on the second floor. When Martha passed away, the family moved her picture to the third floor. After this, the family noticed the portrait started to shake and rock on the wall. So they moved the picture to the attic. Next, the family started hearing knocking sounds all over the house. Yet later when they moved the portrait to the first floor, it continued to tremble and shake. Some concluded Martha's spirit was attached to the picture and she was apparently not happy with the moves. The portraits strange behavior led to it being put on display in New York. While being filmed for a television report, the camera caught it shaking. Over the years the portraits’ shaking and rocking caused its frame to break down. While in a shop being repaired workers stated that they heard bells tolling, but there were no bells in the area. When the portrait was returned to the Grand House, it was hung in its original place in a bedroom on the second floor in the back. It seems to be finally at peace. School groups that tour the Grand House are encouraged to stand to the side when viewing Aunt Pratt’s portrait because she does not like to have her view out the window blocked. Her dark eyes and stern mouth dominate the room. 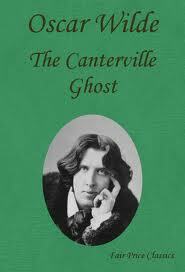 The perfect family holiday ghost story is The Canterville Ghost a short story written by the Irish writer and poet Oscar Wilde. This story was first published in 1887. The Canterville Ghost is unique in many ways. Wilde wrote his story from the ghosts’ perspective, which is unlike most ghost stories that are told from the point of view of the people being haunted. Wilde also manages to mix the macabre with comedy delightfully. Wilde uses two cultures, the American and British and pits them against each other, which creates a very humorous story. He takes the quintessential modern American family, the Otises, and places them in a traditional English country manor house, Canterville Chase, that also happens to be haunted by Sir Simon who has been haunting the place for 400 years. In a twist that is no less than genius, Wilde turns the tables on Sir Simon and makes him the victim of the Americans as opposed to him being able to victimize them. The dark side of the story is that Sir Simon committed a terrible crime—he killed his wife for being plain and a bad housekeeper—which you have to admit is kind of funny. His wife’s brothers punish him by locking him in a room and leaving him to starve to death. The story begins with Mr. Otis being warned by Lord Canterville that the Chase is haunted. Besides Mr. Otis the family includes Mrs. Otis whom Wilde complements by stating she is British like, their daughter Virginia, their eldest son Washington and two younger boys who are twins referred to as Stars and Stripes. None of the family believes in ghosts but when they discover that the Chase is indeed haunted they all take it in stride adding to the humor in the story. Sir Simon in a series of very funny attempts tries to impress and scare the Otises, which results in his ultimate chagrin. He makes a bloodstain reappear near the sitting room fireplace, which is his wife’s blood, he rattles chains and his apparition appears to the Otis family each time more gruesome than the last. Humorously the Otises foil his efforts at every turn. He plots his revenge but he doesn’t succeed. In fact, the Otises’ terrible twins turn the tables on him. They use trip wires, a butter slide which results in Sir Simon falling down the staircase, buckets of water balanced on half open doors, and they even rig up an apparition themselves made with a pumpkin head that torments and terrifies Sir Simon which results in him giving up. To his shame, he finds himself creeping around the manor quietly so he is not discovered. Finally, he retreats depressed and in a weakened state to his secret room. Wilde presents the Otis family in a variety of lights. A humorous bit he uses throughout the story is their belief in commercial remedies to solve all problems. When Mrs. Otis discovers the bloodstain in the sitting room Washington immediately suggests they use “Champion Stain Remover and Paragan Detergent” to get rid of it. Wilde in a tactful way is also making fun of Americans which I find is not offensive because it has shades of truth. In the end, Virginia the Otises fifteen year-old daughter who is the only Otis who doesn’t dismiss Sir Simon listens to his problems and helps him, which ultimately helps her. So this story is actually one of redemption through the power of love. Many film and television versions of The Canterville Ghost have been made over the years as well. Recently I shared a little bit about the history of the English Victorian practice of gathering around a warm fire on Christmas Eve in order to share ghost stories. This tradition was as prevalent to the English Victorian as Santa Claus is to Americans today. The ghost stories these Victorians shared are fascinating. Here is more of the history of why the Victorians chose Christmas Eve to share these stories. The Victorian Christmas was based upon many Roman pagan and Northern European beliefs and traditions that the early Christians adopted. Some of these traditions include the Yule log, holly berries, and even Father Christmas. Believing in the death of light resulted in a belief that the winter solstice night was the most haunted night of the year. 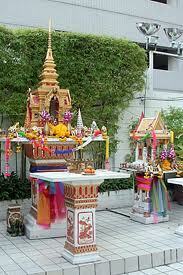 It was believed that the barriers between the world of the living and the deceased were thinnest on this day. Therefore on Christmas Eve ghosts could walk the earth and finish unsettled business. 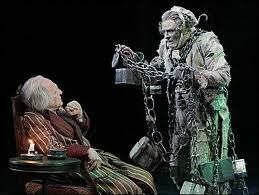 The character of Marley in Charles Dickens’ A Christmas Carol epitomized this concept. As mentioned in my previous two posts on this subject this tradition is almost completely forgotten today in America. 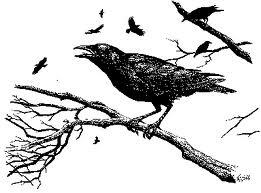 In England ghost stories are still shared at this time of year. * The stories that were told during this period of time should not be forgotten—they represent a rich literature history. Jerome K. Jerome an English writer and humorist wrote these words as part of an introduction to an anthology he wrote in 1891 entitled Told After Supper. This is a superb collection of stories that the Victorians told each other on Christmas Eve. * Another reason ghost stories became popular at Christmas time in Victorian England was this was a relatively cheap entertainment for the aspiring middle classes. Starting in the 1840's publishers were able to produce cheaper special editions for serials and magazines. These stories were often ghost stories. Charles Dicken's twopenny weekly "Household Words" launched in 1856, always had a short story in its Christmas edition and this story was more often than not a ghost story. He also wrote ghost stories for its successor "All The Year Round". So these ghost stories became an integral part of the Victorian Christmas. Read around the fire, they were popular home amusement in those households that could not afford the expense of going to the theatre or a concert. In my last post I talked about the Victorian English tradition of telling ghost stories at Christmas Eve. These stories are often more fable than scary; all were shared for their entertainment value. The following story was often told in English households on Christmas Eve it is inspired by William Shakespeare’s The Winter’s Tale. It is also as the ending will attest a traditional jump story. John Poole lived in house once owned by the local priest. It was situated so that its back windows looked upon the local churchyard. It was said the local priest had moved away with his wife for she did not like the view especially at night. Poole a widower lived in the house alone. He was not a friendly man so he spent his days very much by himself. During this time it was the custom to bury people at night by torchlight. It was remarked upon that John Poole was always at one of his back windows looking upon these funeral ceremonies. One stormy winters night Poole watched as the old Wilkins women was buried. She was an ugly hag known to be stingy and cruel. Bad luck followed her and even the beggars in the town would not knock upon her door. To the surprise of all she left a large sum of money to the church but she was so disliked a large fee had to be paid to the bearers and torch carriers that accompanied her body to the churchyard. As Poole watched from his window he took note that she was buried in a woolen without a coffin and that no one attended except those few men who were paid. Just before her grave was filled in the parson stooped down and cast something upon her body—it clinked as it landed. The parson in a low voice stated, “Thy money perish with thee.” He and the rest hurried away leaving only one torch and the sexton to shovel the earth in. The next day being Sunday the churchgoers noticed how untidy this fresh grave was in comparison to the rest. They criticized the sexton for a sloppy job. When he inspected the grave he was concerned for it looked worse than when he left it. Poole now in a foul mood denied ever seeing any lights and sulked over to a dark corner table with another drink. He headed home later than he had planned. Once home he found himself in bed unable to sleep. The wind outside lashed out at the house. 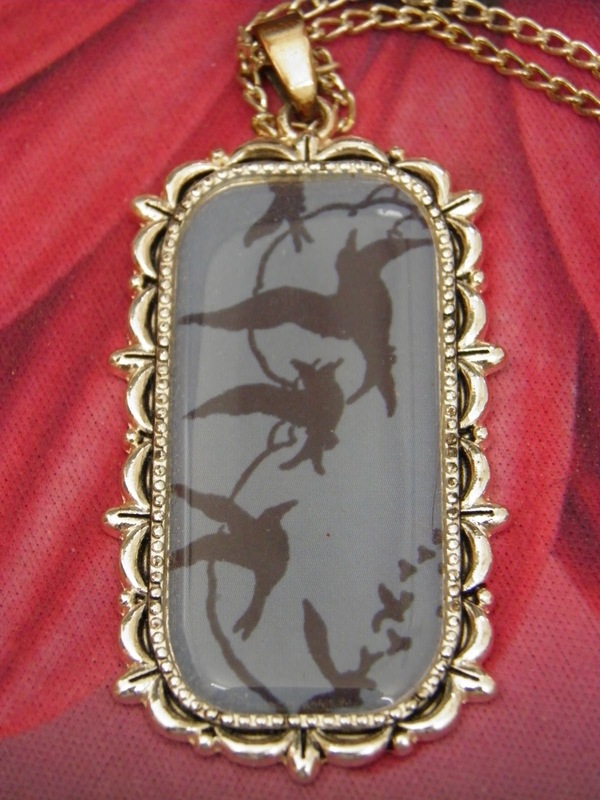 He crossed to a cupboard in the wall and took something out that clinked and tucked it inside his nightshirt pocket. He went to the window that framed the churchyard. The drink or his imagination was playing a trick on him for he thought he saw a figure draped in a shroud. The shroud was bunched together at the top in an odd manner. This figure was near the grave in a part of the yard that Poole knew very well—he darted back to his bed and lay there very still. A few moments later he heard something rattle the casement of the window. With dread he turned his eyes in that direction. Outlined in the moonlight was a curiously bunched head—then there was a figure in the room. Dry earth pelted the floor. A low cracked voice said, “Where is it?” Faltering steps rustled back and forth with difficulty. The figure peered into corners, stooped to look under chairs; finally it fumbled with the doors of the cupboard in the wall, throwing them open. A long time ago I read an interesting question posed on an English forum about when the tradition of telling ghost stories at Christmastime first came about. The responses to this question were so compelling I started to wonder myself how this tradition evolved. Even to me it is an odd connection. My research led me to this fact—the English Victorians shaped the Christmas that many Americans celebrate today—and one fact about the English Victorians is they loved telling ghost stories on Christmas Eve. This tradition is all but lost in America today. The Britain however showed ghost stories near Christmas on television up until more recent years. An early example of this Victorian tradition is Charles Dickens’ story A Christmas Carol. Some state that the English told ghost stories around the holidays because this is when most new literature was published. Others state that the tradition came about because winter brings the longest nights of the year, which lends itself nicely to the telling of ghost stories. Yet others speculate that ghost stories where told to overly excited children during the holidays to help them expel some of their excess energy. Regardless of its origins this tradition in part jumped the Atlantic and played a small role in American traditions 160 years ago. An example of this is Henry James’ The Turn of the Screw, which has a group of friends sitting around the hearth on Christmas Eve telling a very scary and sinister ghost story. 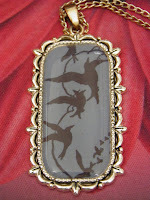 More recently Tim Burton’s The Nightmare Before Christmas reflects a lingering interest in ghosts during the holidays. Some object to this connection between the ghost story and Christmas--they state it has pagan beginnings. Regardless, even in the mid 19th century it only played a very small part as mentioned above in American Christmas traditions so I feel this is a non-issue. Another possible reason for this tradition is that many believe that spirit activity is more pronounced in the colder months of the year. Some even state that snow makes for a more proper setting for the telling of ghost stories. One ghost story told by the English Victorians involved a shipwreck and a sailor, this story was not only told at Christmas but also happened on Christmas. It was a very stormy night and the Shipwright Arms in Faversham was closed tight for the night. The violent storm had forced a vessel to run aground on the Kentish coast. The captain of this ship washed up on the shore—he managed to stagger to the Arms and had just enough energy left to pound upon the door. The landlord within hearing the rude knocks ignored them thinking it must be some of that nights’ drunk customers returned for another drink. The landlord unconcerned fell back asleep. The next morning being Christmas the landlord had no reason to open his door for business so it wasn’t until noon that he discovered the frozen captains’ dead body near his doorstep. 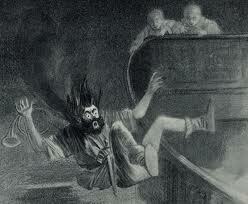 Ever since the spirit of the captain has haunted the landlords of the Shipwright Arms. He announces his presence with the distinct smell of tobacco and rum. His apparition always appears at Christmas. One former landlady who ran the inn encountered the ghost of the captain late one Christmas Eve night. She lay asleep when she awakened to glaring eyes at the foot of her bed. The next morning she realized that the figure she had seen the previous night was dressed like the captain who had been described to her in the past. A more recent landlord at the Arms also encountered the captain’s ghost on Christmas. He was awakened in the middle of the night, he glanced over and realized that something was lying on the other side of the bed; in horror he realized it was the semi-transparent form of the captain. Yet another phenomenon that occurs at the inn late at night on Christmas Eve is the ghostly pounding on the front door and windows. When people go to see who is making such a racket there is no one there.